Joshua Jackson is a third-year PhD student in Communication, Rhetoric, and Digital Media at the University of North Carolina. His dissertation is examining cruel optimism and neoliberalism in videogame production. I want to be very careful about how I approach this subject. I do not claim to speak for videogame production writ large, nor do I want to. I am concerned with forming a body of knowledge around certain exploitative practices which occur in much of the videogame industry – an industry to which unfortunately few game scholars have ready access. Like the historical development of television, radio, and film, videogame production is experiencing growing pains that need to be addressed if the conditions are ever going to change. This article utilizes the analogy of the ‘shack’ as developed by Bachelard (1964) and Robertson (2011) to understand one of the struggles that prospective and early-career videogame developers often experience: being recruited for their passion (Kerr and Kelleher, 2015; Bulut, 2014 and 2015; Johnson, 2013a, 2013b, 2019), then having that passion used against them. In other words, appealing to the ‘passion’ of employees allows for exploitative working conditions and work culture, all under the auspices of someday “making it” in videogames (O’Donnell, 2014, 153). Robertson (2011), in Occasional Work and Seven Walks from the Office of Soft Architecture, examines the architectural concept of a ‘shack’, or an origination point that represents both physical and aspirational progress and growth. She also discusses the concept of the shack as being ultimately unsustainable, but an important starting point for working through new conceptualizations of space that improve on previous versions (for example, shack to hovel, hovel to house, house to mansion, so on). Robertson frames the shack as where “[one] sojourns, or starts out, rather than settles […] Domestic duration, like childhood, is transient, serial. A shack is always timely. Typically, an account of the history of architecture will begin with a shack” (150). Robertson’s understanding of the importance of a shack for discussing architecture can be read as a useful comparison for understanding videogame production. Johnson (2013a, 2013b), Bulut (2014, 2015), Fisher and Harvey (2013), Kerr and Kelleher (2015), O’Donnell (2013), D’Anastasio (2018), and Pettica-Harris, Westar, and McKenna (2015) all discuss passion as being both a recruitment tactic within videogame production and a rather insidious retention tactic. Though they each discuss different facets of how passion is used to entice and retain potential workers, one commonality is apparent in all of their work: videogame production seeks to exploit workers’ passion for both playing videogames and being part of a community. Within that exploitation, videogame studios seek to employ youthful people who want to ‘move up’ through the ranks of production to hopefully spearhead their own intellectual property (IP) or start their own company and make games that they are passionate about. The overlap between passion as a recruitment tool and the metaphor of the shack that Robertson develops becomes clear when examining hopeful videogame production workers. Robertson explains that the shack is a place where people venture from, and that modern accounts of architecture begin with shacks. To Robertson, the shack represents the fledgling stages of exploration and identity creation. 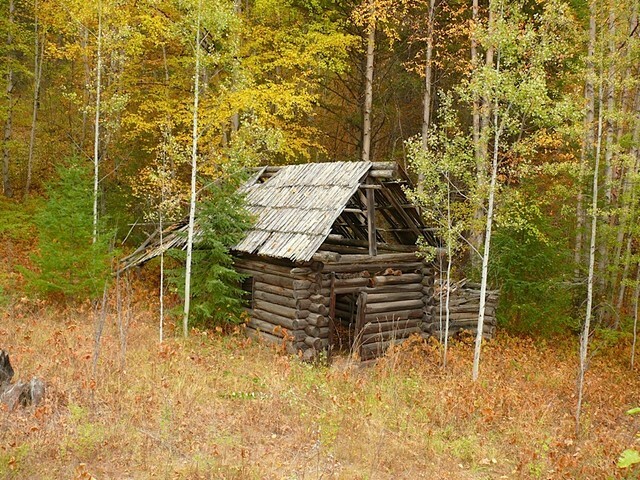 The shack is a place where a person or a plan starts, complete with the minimal ideological trappings and understandings that a shack provides: specifically, though there is not much to work with materially or ideologically, this lack can be supplemented with ingenuity and imagination. Bachelard (1964), in The Poetics of Space, provides a fuller explanation of what the shack is and how it functions. His explanation is directly applicable to potential and hopeful videogame production workers, particularly when he states that “[the shack] possesses the felicity of intense poverty; indeed, it is one of the glories of poverty; as destitution increases it gives us access to absolute refuge” (52). The rhetorics of material scarcity and poverty that Robertson and Bachelard connect to the shack transfer to videogame production in less aggrandizing ways. Instead of the material scarcity, or material poverty, that is supposed to jumpstart creativity and ingenuity, developers face temporal and support-system poverty. Indeed, Dyer-Witheford and de Peuter (2006), O’Donnell (2014), Bulut (2014 and 2015), and Kerr and Kelleher (2015) identify the extreme overworking conditions that developers are expected to endure, which strip them of free time, family time, recuperation time, and time to be away from videogames. As Kerr and Kelleher note, almost none of those extreme expectations come up in job recruitment material, interviews, or professionalization in academic programs. A few examples of these working conditions include: 80-120 hour work weeks during months-long periods of crunch; providing lunch and dinner for employees so that they stay in the building, attached to projects, working for longer; the misdirection of frustration at all of this away from management and onto the product itself (for example: “The project requires x of you” [Read, 2003, 128]); and workplace architecture that is designed to keep workers at work (and moreover, keep them comfortable with being at work) by providing leisure activities and amenities not found in more traditional workplaces, such as bean bag chairs, ping pong tables, gaming setups in heavily trafficked areas, nap rooms, fridges, and kitchens full of free beverages and snacks. Once a person engages with this work culture and becomes vital to the success of a project, the personal ‘building’ that takes place becomes a time-economy of building healthy routines and fostering a work-life balance that accommodates and enables the expectations of overwork. Professionalization programs often do little to help new videogame production workers establish these skills, or figure out how best to budget their time; rather, they are often simply encouraged to dive head-first into their work. This plays off of habits developed in college or self-taught coding, where overwork is a show of passion and commitment. By blurring the line between work and play, videogame production is asking for new workers to engage in a never-ending cycle of “doing what they love” in the hopes of building a new dwelling from the shack in which they are ensconced. Bulut (2015) discusses how workers are also encouraged to stay once a project is completed by offering vested stock options and rewards for good reviewer scores that are doled out to workers over years. This approach keeps workers on the hook by requiring that they stay employed at that company for a variable number of years after the project completes, or risk losing those benefits. This is much the same for an architect finishing a project: there is an immense sense of relief at being done, but the pressing concern remains that there is always more work to be done, more projects to be built, and that remuneration is not a static affair – as public use or occupancy increases, more money will come their way (Presier, Hardy, and Wilhelm, 2018). However, unlike videogame production workers, architects are not subject to quarterly lay-offs and immediate rehires (Bulut, 2014, 241), overnight studio closures due to mismanaged funds (see also Hyman, 2008 regarding studios who have mismanaged funds and shuttered overnight), or acquisition and shuttering. Robertson’s and Bachelard’s concept of the ‘shack’ provides an analogy through which we can start to understand the exploitative nature of videogame production. By locating the ‘shack’ as a genesis point for architecture, characterized as something that people start in and move away from, we can see that videogame production occupies a similar starting point as the shack, but does not allow the unmitigated freedom that the shack does. Passion is used as a recruitment tool for videogame production wherein workers have their passion for playing games turned into a seemingly-open invitation to play while they work, in the hopes of working their way to a position where they can finally make the games that they are passionate about. Unfortunately, this rarely happens due to the exploitative nature of (over)work, remuneration, and meritocracy that favors certain races, genders, and cultural fits for promotion over those who may genuinely deserve it (D’Anastasio, 2018; Johnson, 2013; Bulut, 2015). Bachelard, Gaston. The Poetics of Space. Trans. Maria Jolas. Beacon Press, 1964. Originally published 1958. Bulut, Ergin. “Glamor Above, Precarity Below: Immaterial Labor in the Video Game Industry.” Critical Studies in Media Communication, vol. 32, no. 3, 2015, pp. 193–207. Bulut, Ergin. “Playboring in the Tester Pit.” Television & New Media, vol. 16, no. 3, 2014, pp. 240–258., doi:10.1177/1527476414525241. D’Anastasio, Cecilia. “Inside The Culture Of Sexism At Riot Games.” Kotaku, 14 Aug. 2018, . Dyer-Witheford, Nick, and Greig S. De Peuter. “‘EA Spouse’ and the Crisis of Video Game Labour: Enjoyment, Exclusion, Exploitation, and Exodus.” Canadian Journal of Communication, vol. 31, no. 3, 2006, doi:10.22230/cjc.2006v31n3a1771. Harvey, Alison, and Stephanie Fisher. “Growing Pains: Feminisms and Intergenerationality in Digital Games.” Feminist Media Studies, vol. 16, no. 4, 2016, pp. 648–662., doi:10.1080/14680777.2016.1193295. Hyman, Paul. “OUTSOURCING: Video Game Art Is Increasingly ‘To Go.’” Game Developer, vol. 15, no. 8, 2008. “IGDA DSS 2017 Press Release – International Game Developers Association (IGDA).” International Game Developers Association, Jan. 2018. Johnson, Robin, and Sarah Evans. “Technomasculinity and Its Influence in Video Game Production.” Masculinities in Play, edited by Nicholas Taylor and Gerald Voorhees. Palgrave MacMillan, 2018. Johnson, Robin. “Hiding in Plain Sight: Reproducing Masculine Culture at a Video Game Studio.” Communication, Culture & Critique, vol. 7, no. 4, 2013, pp. 578–594., doi:10.1111/cccr.12023. Johnson, Robin S. “Toward Greater Production Diversity.” Games and Culture, vol. 8, no. 3, 2013, pp. 136–160., doi:10.1177/1555412013481848. Kerr, Aphra, and John D. Kelleher. “The Recruitment of Passion and Community in the Service of Capital: Community Managers in the Digital Games Industry.” Critical Studies in Media Communication, vol. 32, no. 3, 2015, pp. 177–192., doi:10.1080/15295036.2015.1045005. Kuchlich, Julian. “Precarious Playbour: Modders and the Digital Games Industry.” The Fibreculture Journal, vol. 5, 2005. Lauteria, Evan. “Ga(y)Mer Theory: Queer Modding as Resistance.” Reconstruction, vol. 12, no. 2, 2012. Llerena, Patrick, et al. “Division of Labor and Division of Knowledge: A Case Study of Innovation in the Video Game Industry.” Schumpeterian Perspectives on Innovation, Competition and Growth, 2009, pp. 315–333., doi:10.1007/978-3-540-93777-7_18. O’Donnell, Casey. Developer’s Dilemma: the Secret World of Videogame Creators. The MIT Press, 2014. Parker, Felan, et al. “Megabooth: The Cultural Intermediation of Indie Games.” New Media & Society, vol. 20, no. 5, 2017, pp. 1953–1972., doi:10.1177/1461444817711403. Peticca-Harris, Amanda, et al. “The Perils of Project-Based Work: Attempting Resistance to Extreme Work Practices in Video Game Development.” Organization, vol. 22, no. 4, 2015, pp. 570–587., doi:10.1177/1350508415572509. Phillips, Amanda, et al. “Feminism and Procedural Content Generation: toward a Collaborative Politics of Computational Creativity.” Digital Creativity, vol. 27, no. 1, 2016, pp. 82–97., doi:10.1080/14626268.2016.1147469. Preiser, Wolfgang F. E., et al. Adaptive Architecture: Changing Parameters and Practice. Routledge, 2018. Read, J. (2003).The Micro-Politics of Capital. New York, NY: SUNY Press. Robertson, Lisa. Occasional Work and Seven Walks from the Office for Soft Architecture. Coach House Books, 2011. Sotamaa, Olli. “On Modder Labour, Commodification of Play, and Mod Competitions.” First Monday, vol. 12, no. 9, 2007, doi:10.5210/fm.v12i9.2006. Tokumitsu, Miya. “In the Name of Love.” Jacobin, 2014. Williams, Ian. “‘You Can Sleep Here All Night’: Video Games and Labor.” Jacobin, 2013.